Labor Day Weekend – You Know What That Means! Well Labor Day Weekend is here already. Wow, summer did not last very long (unless you are a Mom with young school aged kids). Next comes fall, a great time of year for the lighting business because as it gets dark earlier and earlier, people discover that they need more lights. My advice, beat the crowds, buy your lights now. Be prepared! 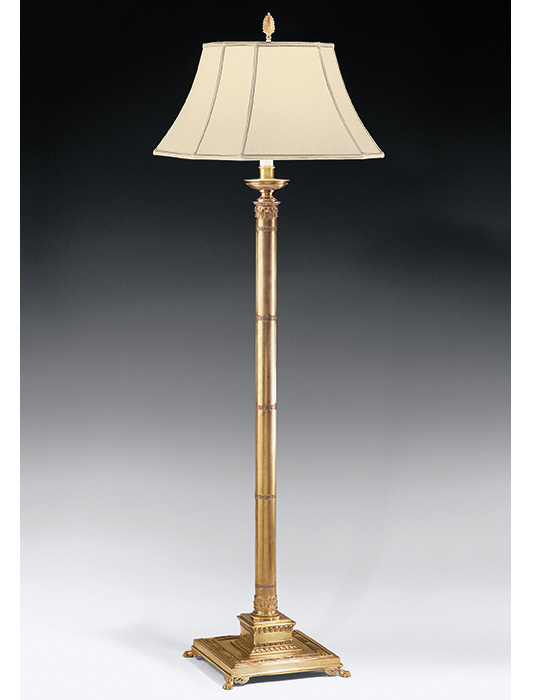 A floor lamp like the one pictured here is a great solution for a dark corner. This lamp has a center socket that will take a 50/100/150 3-way light bulb plus three sockets, on small arms around the central socket, that each take 60 watt light bulbs. That is a lot of light. Enough light for reading, sewing or playing card games. And, a light like this is an economical solution, costing only a couple of hundred dollars. This time of year also means back-to-school. And back-to-school means homework. 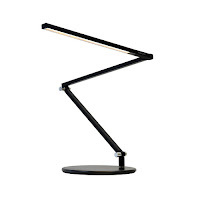 Students need good lighting for their homework which means a desk lamp like the one pictured on the right. This is an LED super adjustable, dimmable model that is available in black, orange and stainless steel. It can mount as shown or on a plate that attaches to a desk or a wall. Guaranteed for 5 years this lamps is a good value for about $250. Please visit us a www.fogglighting.com and like us on Face Book. Remember, good lighting is important for your state of mind. Call with all your lighting questions and needs. What Do I Think About LED? I get asked this question almost every day, and every day I have the same answer: “Don’t get locked into a technology that is changing daily.” By this I mean, use LED replacement light bulbs, but do not buy fixtures with dedicated LED modules already built in. The LED dedicated fixtures are much more expensive than conventional fixtures, and you will be stuck with them when a much more advanced LED option becomes available in a few months or a year. The exception to this rule is in the use of under cabinet or cove lighting where LED tape light and other LED fixtures have been proven to be good alternatives (albeit more expensive). The Light bulb pictured here on the left is a technological breakthrough. This light bulb is manufactured by Soraa, the most advanced LED MR16 manufacturer in the world. This MR16 can be used in any fixture that uses MR16’s. It is dimmable, comes in various color temperatures and is available with a variety of lenses, filters and louvers which control beam spread and glare. Not all replacement bulbs are created equal. This is one of the best. It costs a little more than it’s cheaper rivals, but the results are noticeable. The light bulb pictured on the right is an LED replacement bulb for a standard incandescent light bulb. Notice the “fingers” that extend up from the socket to the base of the globe. These “fingers” are made from a material that will draw heat away from the solid state components in the light bulb. (LED’s generate heat because of the resistance in the solid state components – much like a computer). 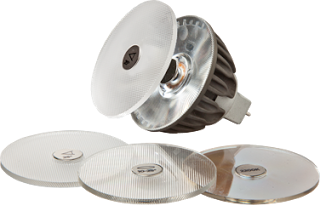 This brings me to crux of the LED dilemma – until scientists can find much more efficient heat sink materials than are available today, LED’s are stuck in limbo. The greater the lumen output, the more heat is generated and this heat must be dissipated. This breakthrough will come fairly soon, and when it does, there will be a flood of new products. Please visit us at www.fogglighting.com and like us on Facebook. Also check out the app “LightSmart” from UL which has tons of great information about lighting. Need lighting help, call Fogg Lighting at 207-797-7568. Trouble Falling Asleep at Night? 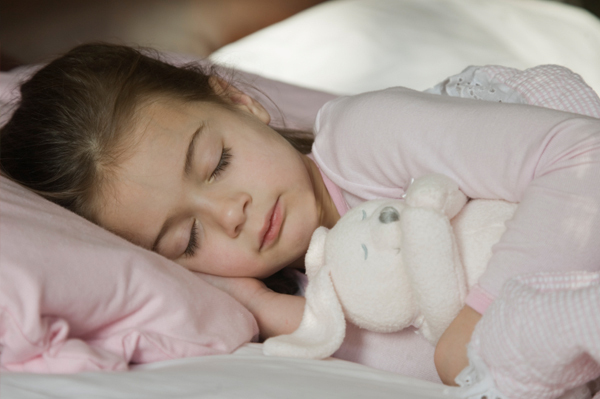 Do you or your kids have trouble falling asleep at night? It could be that you need less exposure to cool blue light, like the predominate light given off by TV’s and computer screens, and more exposure to warm red light, like incandescent light bulbs or evening sunsets. This is because blue light interferes with melatonin production and red light encourages melatonin production. Melatonin is a hormone that helps regulate the sleep-wake cycle by chemically causing drowsiness and lowering body temperature. Circadian rhythms are tied to sunrise and sunset and have controlled the rhythm of life ever since life began on the planet. Before electricity, humans went to bed when it got dark and woke up when it became light again. The predominate light in the evening for those generations was either natural sunlight or the predominately red light of a fire or torch. Therefore we have evolved to want to sleep when the sun goes down. Please visit us at www.fogglighting.com and like us on Facebook. Download the UL app, “LightSmart” for lots of good information and call me at 207-797-7568 for all your lighting needs. While cooking and cleaning functions endure, kitchens are hubs of activity in homes today. I know that when we entertain guests at our house we cannot get them out of the kitchen. We entertain, eat, prepare food, wash dishes and even read in our kitchens. That is why kitchens require several layers of light to serve all the needs of the modern home. Please note the different layers of light in this kitchen. 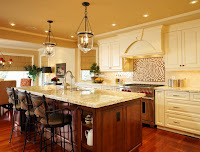 There are pendants over the island, recessed lights over the counters, under cabinet lights (also lighting the counters), range hood lights, picture lights, a chandelier over the kitchen table and even a table lamp! That is seven layers of light! And how good does it look, and how pleasurable it would be to entertain in this space. Cooking would even be more enjoyable. (Of course I love to cook so I would love having a kitchen like this). You do not need to have a magnificent home to have good lighting in your kitchen. If you choose correct lighting for your space it will look great and allow you to perform all the kitchen tasks. Really good recessed lights are quite affordable and should be used over the counter tops, not behind them. Island counters require good lighting. Multiply the square footage of the counter top by 2.5 to determine how many watts of incandescent light is needed. Then select fixtures (usually pendants) that can deliver that amount of light, or augment those fixtures with additional recessed lights spaced between the fixtures. Most families spend a lot of time the their kitchens so make it a priority to light your kitchen well. Please visit us at www.fogglighting.com and like us on Face Book. I am always available for consultations on proper lighting for your home, and my design team can help you find fixtures that are beautiful and affordable. "THE FUTURE IS (ALMOST) NOW: IS THE LED LIGHT MAINSTREAM?" I have borrowed some quotes from the above mentioned article that appeared in “enLIGHTenment” magazine’s July, 2013 issue written by Ted Konnerth, CEO of Egret Consulting Group. A lot of this article is technical so I have selected passages that pertain to consumers. 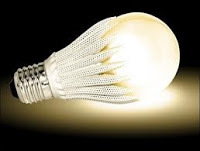 “Given the recent attention our industry has paid to solid-state lighting, I am sure it is hard for you to believe that fluorescent, high intensity discharge (HID), and incandescent products still represent 85 percent of all lighting sales. I’ve attended and led innumerable discussions at industry gatherings on the emergence of LED. And from what we’ve heard, the future is now. However, new technologies always take time to gain full acceptance. The legacy lighting manufacturers have millions of capital dollars invested in tooling, machinery, and processes that limit their ability to make wholesale changes to their companies. The new entrants have no embedded capital limitations, but they don’t have the channel relationships to push LED adoption at a greater pace. And, their limitation of lighting expertise limits the ability to match LED’s benefits with lighting application expertise. According to a Department of Energy Report from last year, LED lighting will reach a predicted market share of 74 percent by 2030. I believe the rate of adoption will be far faster than that; but the limiting factor will be centered on design.” (My emphasis). “Proper lighting involves so much more than brightness. Glare, comfort, uniformity, color rendering, accent, layering, and “feel” are the fundamentals of quality lighting.” (My emphasis). “A careful blend of old and new ideas is needed to accelerate the lighting renaissance. Mr. Konnerth certainly has gotten it right. LED is here, but the fixtures needed to make LED feasible for most applications are still evolving…somewhat slowly it seems. The knowledgeable consumer is a wise consumer. Please visit us at www.fogglighting.com and like us on Facebook. The Truth About Lighting Allowances in Contractor’s Proposals. I went to an open forum Q & A at a contractors office yesterday. This is one of the best contractors in the State. They build great houses, expensive houses in beautiful coastal locations, and they have an outstanding reputation. There were lots of sub-contractors and a few vendors, like myself, there. Nobody in attendance has ever experienced such a meeting, a meeting called to solicit feedback from subs and suppliers about how to make the building process better for the client. It was a “team” building experience and I was happy to be part of the “team”. I raised my hand and expressed my primary concern which has to do with the lighting allowance in most contracts. 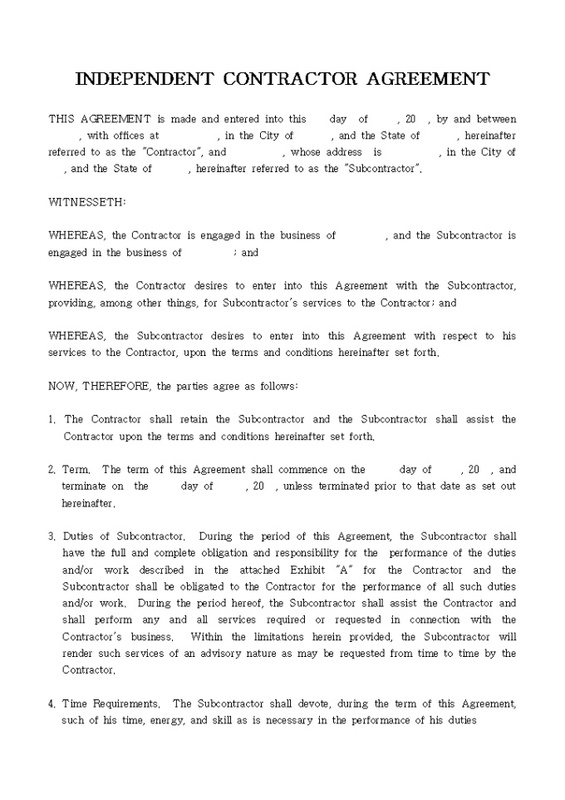 Whereas the framer, the roofer, the concrete company and the carpenter are all given blueprints and asked to quote their prices, I come to the party much later and have never had a chance to estimate what the lighting will cost. In fact, I could never provide that estimate without meeting with the client to choose specific fixtures. 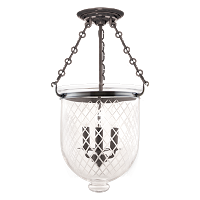 Prices of lighting fixtures vary greatly for lots of good reasons. The lighting allowance is therefore necessarily a “plug-in” amount. When I said that there was no way someone building a $2,000,000 house with a lighting allowance of $5,000 (exaggeration) could possibly light that house for $5,000 they told me the truth about lighting allowances (and other allowances too). The Truth About Lighting Allowances is contractors bid against several other contractors for every job, and if they included the REAL cost of lighting they would never get the job because the other contractors always “low ball” the allowance. The allowance is a “garbage figure”, to quote the contractor. I totally understand this thinking and I respect them for being truthful with me, but when I meet the client and tell them the real cost of lighting, there is sticker shock and disappointment. Most of the time the client tells me: “I went way over budget on my tile and I do not have any money left”. I feel their pain, I really do, but without decent lighting they will not be able to see the tile that cost so much. Anyway, I feel exonerated. I have been telling you that the lighting allowance is NEVER adequate. Now you know why. Be aware and be prepared. Please visit us at www.fogglighting.com and like us on Facebook. Remember I am always available to design the lighting for you. A Ceiling Fan For Every Room! Ceiling Fans are Cool! Ceiling Fans are Hot! Right on both counts. Ceiling fans help you feel cool during the warm months and help warm a house during the cool months. By so doing they can save up to 20% of the cost of both heating and cooling. They do not actually cool the house, but they make you feel cool because they move air over your skin which increases the evaporation of the moisture on your skin. And they do not actually heat your house, but they recirculate the warm air that otherwise would be trapped near the ceiling. So in the summer you can turn your thermostat to a higher setting and in the winter the warm air being recirculated keeps the lower part of the room warmer lessening the call for the furnace to come on. Ceiling fans come with different size blades so you will want to select the correct size fan for the size of your room. A 36″ fan is appropriate for small rooms up to 75 square feet. A 42″-50″ fan works well in rooms between 76-144 square feet. Rooms that are 144-255 square feet are right for 52″-54″ fans. A large room that is 225-400 square feet should use a 54″-72″ diameter fan and it is appropriate to use multiple fans in a great room that is larger than 400 square feet. Ceiling fans are available with lights or “light kits” so they can be used to add light to a room. Contrary to popular opinion, the lights do not have to be ugly, even though a lot of them are really, really ugly. Those ugly fan lights have given all fan lights a bad reputation. Some ceiling fans have full function remote controls thereby enabling you to reverse the direction of the fan, change the speed of the fan and turn the lights on or off from the comfort of your Lazy Boy. Some fans have a reversing switch on the body of the fan and others cannot be reversed at all. 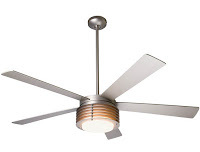 There are many, many ceiling fans available today in all kinds of styles, sizes and colors. Be sure to choose a good quality fan with a strong motor and blades that are at least a 14 pitch. Please visit us at http://www.fogglighting.com and like us on Face Book. I’m Not Building a Big House, Why Do I Need a Lighting Plan? A “Not Very Big House” today costs $300,000, $400,000 or more to build. A simple lighting plan costs a couple hundred dollars, an infinitesimally small percentage of the cost of a house. Yet a lighting plan can help you avoid making mistakes that are very expensive, if not impossible, to correct. A good lighting plan will add many times more value to your home than you could imagine by placing the proper fixture in the proper place, by high-lighting features that should be high-lighted and by using layers of light to add interest and depth. As I have said in a previous posting, the house you are building or remodeling is going to be your home. You will be living there. You will be entertaining there and you will be cooking, reading, sewing, sleeping and grooming there. 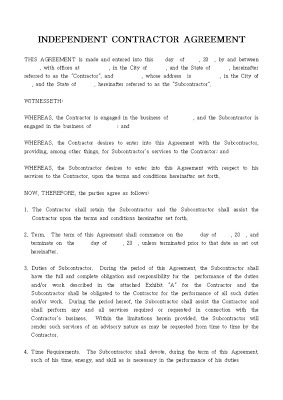 Not your contractor nor your electrician nor your architect (or draftsman). They all know what they usually do for lighting, but what they usually do might not be correct, even your architect might not get it right. If you can not afford a lighting designer read as much as you can about proper lighting design (this blog for example) and do your own lighting plan. Hand draw it on a copy of your blueprint. Be sure to include a schedule of symbols so that everybody understands what the symbols on the plan refer to. It does not need to be formal but it needs to be specific. 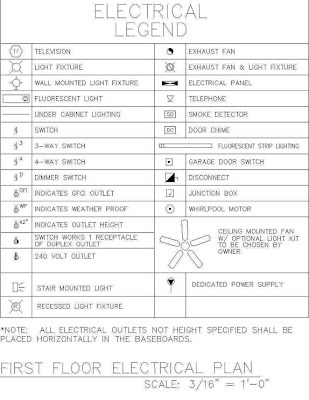 The symbols on the schedule to the right are commonly used on plans so most electricians are familiar with them. How the fixtures are switched is also an important consideration. Think about where you will enter and exit a room and what you do while you are in the room. For example, you probably want a switch by the door when you enter your bedroom, but you might also want a switch by the bed so you do not have to get out of bed to turn the light off. I strongly recommend dimmers for every light in the house. They cost a little more than switches, but they add so much versatility that they are really worth the extra. Most of all — BE AWARE THAT THE BUDGET YOUR CONTRACTOR GIVES YOU FOR LIGHTING IS NEVER ADEQUATE — NEVER. They are trying to quote you the lowest possible price for your project to get the job, and they always scrimp on the lighting budget, as well as tile, plumbing fixtures, etc. Please visit us at www.fogglighting.com, read my blog posts to educate yourself about lighting, like us on Face Book and tell your friends about us. More to come in following days. So what is a semi-flush mount? A semi-flush mount is shorter than a pendant and longer than a flush mount. It is the fixture of choice when you have sort of high ceilings and would otherwise use a flush mount, or conversely when you have do not have high enough ceilings to accommodate a pendant. Without the steep vertical space requirements of pendants and chandeliers, semi-flush mounts can provide the same beautiful styling in a more compact form. Hallways, single story foyers, bedroom ceilings and bathroom ceilings are excellent spots for semi-flush mounts. They are perceived as more elegant that flush mounts and are used in a multitude of applications. Semi-flush mounts should be mounted so that there is at least 7′ of space between the floor and the bottom of the fixture. As with flush mounts they should be spaced 10′ apart if being used in a hallway. Semi-flush mounts are available in a multitude of different styles, combinations of glass and metal, finishes and colors. Semi-flush mounts have a place in almost every lighting plan. Take a semi-flush mount home today!